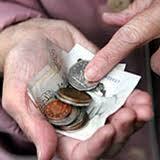 We do offer a pensioner discount at all of our locations which includes age, disability and carers pensions. This does not include seniors card holders or health care card holders who are not on a pension. The discount is approximately 10%. For more information regarding our podiatry and orthotics services in Brisbane, Australia, please visit our homepage. Alternatively, click on this link to return to the Podiatry FAQs Blog. A list of professional fees can be found by browsing to the clinic location you are seeking: Toombul, Indooroopilly, Hamilton or Bribie Island.